Some 96,000 tons of wood would have been needed to incinerate the bodies of the 600,000 Jews murdered in Belzec. That amount of wood was not available. Carlo Mattogno, an Italian Holocaust denier, states that 96,000 tons of wood would have required stripping an area of mature woods 30 times greater than the area of the camp. And, according to aerial photographs taken in 1945, there were still plenty of trees in the area. The evidence shows that the calculations of Holocaust deniers, about the amount of wood needed to cremate the bodies of the Jews murdered at Belzec and Sobibor, is inflated by about six times over. Estimates indicate much lower wood requirements. Enough of this wood was available in the area. Every year large numbers of animals must be destroyed because of disease. Their carcasses present a public health problem and they have to be quickly and thoroughly destroyed. Health officials have found that they can burn 41,300 kilograms (about 91,050 pounds) of swine carcasses with 40 cubic meters of firewood (about 24,145 kilograms of wood.) This means that to incinerate 1 kilogram of carcass about 0.58 kilograms of wood is required. We will use an average body weight of 25 kilograms (about 55 pounds), which takes into account the weight of bodies in various stages of decomposition (about 14-35 kilograms). Thus, Mattogno’s figure of 96,000 metric tons is too high by a factor of at least 6 times. Where did this firewood come from? Would the area around the camps have been stripped bare? In all three camps, Jewish work groups cut and hauled wood to the camp every day, sometimes from as far as five kilometers away. The wood was used to fuel the incineration grills and to refurbish the branches woven into the fences for camouflage. The old branches for the fence made good tinder for starting the incineration fires. 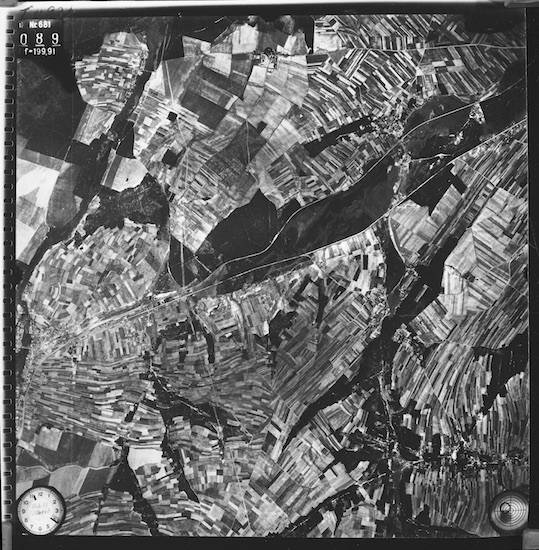 Aerial photographs taken in 1940 before Belzec was established show the camp site to be heavily forested. An aerial photograph taken in 1945 (two years after the camp was closed) shows the nearby area of the camp largely stripped of trees, some of which were removed in order to build the camp. This deforestation is consistent with the wood requirements, if one uses more realistic figures than those invented by Holocaust deniers. Mattogno’s calculations about wood requirements per kilogram of bodies are inflated by about six times over. Proper estimates of needed firewood take into account a variety of factors: the actual state of two-thirds of the bodies (dried out skin and bones), the ages of the victims (one-third to one-half children and infants), the correct average body weight estimates, and more responsible figures for the amount of wood required. The wood, according to the testimony of multiple eyewitnesses, was taken from around the camp and from other sites kilometers away. The de-forestation of the area is consistent with the amount of wood required. “Carlo Mattogno on Belzec Achaeological Research—Part 4(2), (“4.2 Wood Requirements”). Thomas Toivi Blatt, From the Ashes of Sobibor: A Story of Survival (Northwestern University Press, 1997), p. 112. For more accounts of cutting wood see also Abraham Krzepicki, “Eighteen Days in Treblinka” in Alexander Donat, editor, The Death Camp Treblinka: A Documentary (Holocaust Library 1979), p. 124; Samuel Willenberg, Surviving Treblinka, edited by Wladyslaw T. Bartoszewski, translation by Naftali Greenwood (Basil Blackwell, 1989), p. 110; Richard Glazar, Trap with a Green fence: Survival in Treblinka (Northwestern University Press, 1992), pp. 127-135. You may see these photographs at “Belzec Maps” at http://www.deathcamps.org/belzec/maps.html.